The summer housing market in Lake Havasu is as hot as the weather! Currently there are only 275 single family resale homes on the market. 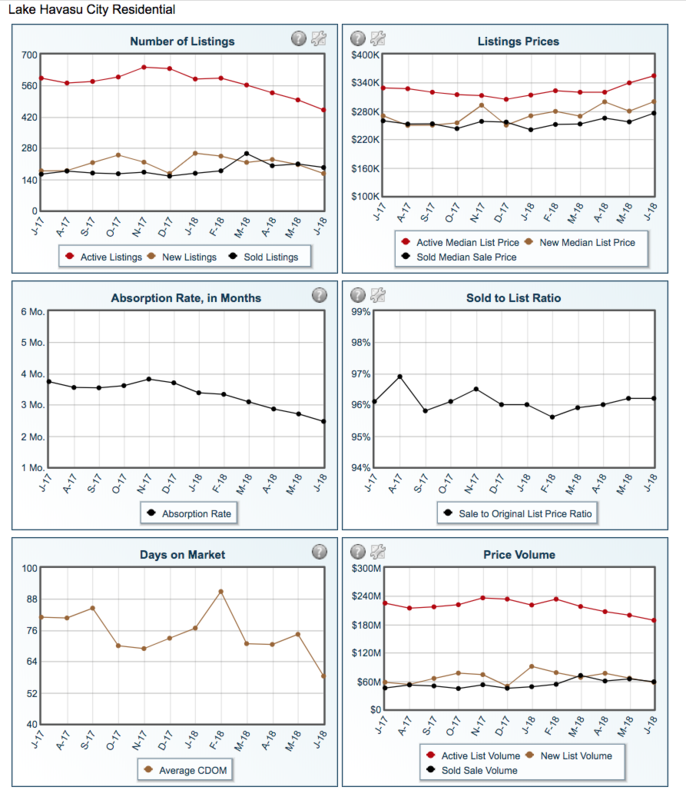 In the past 30 days 141 homes sold so you can see that we have less than a two month supply of homes. Generally a 5-7 month supply of homes is a stable market. When you get to 4 and below, it becomes a Seller's market as there is more demand with less supply. If you have a home and want to know what it may be worth, click here to get a home valuation report.